Material Diecast. Size: 19 cm. Condition: New Sealed in Box. Material Diecast. Size: 20 cm. PRODUTTORE/MANUFATCURER: Hpi Racing. Original Scale Model (in new conditions mint boxed). PRODUTTORE/MANUFATCURER: Welly. Original Scale Model (in new conditions mint boxed). 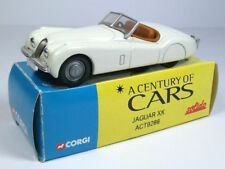 1:18 die cast model of a jaguar E type coupe from 1963. This was a kit model and has been completed. The car doesn’t come with any decals only as pictured. The car is rare in white with black interior. The model is in excellent condition. Original box may have some shelf wear. Any questions please message me. Check out my other models, dioramas and accessories. Postage costs include ebay and PayPal fees as well as costs for packaging materials. As I try to ensure all my items are packaged safely and securely. Thanks and happy bidding. 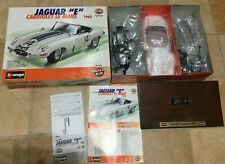 1:18 die cast model of a jaguar E type convertible race car Le Mans from 1963. This is a kit model and only a screw driver is needed to complete the model. No painting is required. 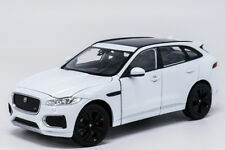 I have checked over the models contents to make sure everything is there to build the model. "A Century of Cars". Hachette Special Edition. Car in super, bright, unused condition. [SKU T407]. White Jaguar F-Type Coupe by Welly. DIECAST / PLASTIC. JAGUAR F-TYPE COUPE. SCALE 1/43. THIS ITEM IS NEW. Not suitable for under 3 years. 1/76th Scale Diecast Model 76DTYP003. Adult Collectible - Not For Children Under 14 Years of Age.